Being a perfectionist ain’t all bad. But, there are known problems with having such a trait. This article gives seven approaches on how to deal with perfectionism. There is also a list of resources at the bottom to help overcome perfectionism limitations. A perfectionist has a drive for excellence and can produce outstanding results. Who are we kidding?! 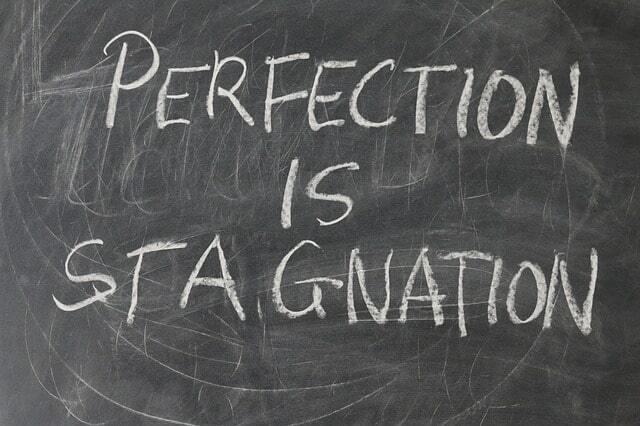 Perfectionism is omnipresent and we all enjoy its fruits. The problem is the downsides, the perfectionist tendencies when something is just not ‘right’, not good enough. Suffer from depression and anxiety (momentarily or for long periods). Perfectionism and anxiety can go hand in hand. Wanting only the ‘perfect’ and being anxious without it means loss of opportunities. The mentality overlooks the plethora of opportunities and beauty in the ‘not-so-perfect’ not to mention the hurtful implications. Think of all the outstanding successes due to perfectionists. Steve Jobs, Barbra Streisand, and Michelangelo, for example, were perfectionists. They are renown for giving the world extraordinary things! So, allow yourself applause as a perfectionist, because you are part of a group of people who have special qualities. Rather than wondering how to get rid of perfectionism, think along the lines of managing the downsides so that the upsides shine. There is such a thing as healthy perfectionism (called adaptive perfectionism). In managing perfectionism, try doing the following. Take time out to broaden your outlook, to bring new insights and perspectives. Make a conscious effort to celebrate your wins, no matter how small. Plan rewards. Commit to experience them. Work at being open, tolerant, and patient, and be aware of your self-talk. Subdue that inner negative critic by reflecting on evidence to the contrary. Realize the times when you need to expect less of yourself (and others), and let up every now and then. Find publications that give guidance and practice daily strategies to help care for yourself. Show you care by transferring your skills/knowledge to others. Try marveling at the number of sands on the beach, the stars in the night sky, to put things into perspective. Watch how night becomes day, and day becomes night. Take advantage of the negative ions in nature around moving water and green space to improve your mood. Soak up a little sunshine (avoid sunburn) for vitamin D to keep mentally and physically at your best. Find natural ways to feel better and connect with your life force. Go barefoot. Get grounded with the Earth. Remember, everything in nature is perfect in its design. Why worry about your detail? 3. Nourish the Soul: Loosen Up! Watch a funny or inspirational movie (perhaps movies involving perfectionism). Learn to laugh at yourself and with (not at) others. Try laughter exercises. There are plenty online on Laughter Yoga. Fake laughter is perfectly fine. But, be wary of cynicism, sarcasm, and teasing – not the perfect humor in this case. Learn to meditate daily to help de-stress and to increase creativity. Listen to uplifting or healing music. You inner speak can be a tell-tale sign of the ego taking over. Is that inner voice supportive and intuitive; or conversely, critical, anxious, obsessive, and tugging at urgency? Does your self-talk deflate you? Never bash yourself up over mistakes. Accept you are human and acknowledge mistakes as being necessary for learning. Make a list of your strengths and past wins, and dwell on them, rather than your shortcomings. Are you obsessing with comparing yourself to others? Consider that they have their own journey. Use a gratitude journal to focus on the positives rather than the ‘not yet done’ or ‘not good enough’. Meditate to tune into your true Self, and ask for help from your spirit guides. Express yourself assertively, and deal with conflict proactively, without trying to make everyone happy. Express excitement with small wins as well as big ones. Focus on being your true Self and tame that ego. Practice daily habits that help you in this respect. Learn what makes you tick. Don’t obsess with the one perfect solution or outcome. Use your ideals as guides, not absolutes. Accept there can be multiple ways of achieving the one thing. Consider that no one single outcome is the perfect solution. Your solution may be perfect for a time, place or situation, for a short while, long while, evermore, or not at all. Accept that you might need to change your attitude or behavior. Shift your mindset of ‘all or nothing’ to it’s good enough, using the 80/20 rule. Free yourself of unnecessary detail. As a perfectionist, you are good at analyzing. But, check whether a change is needed in your focus. Check you are not missing out in the big picture because you are obsessing about the one thing. 7. Allow Time. Be Flexible. Everything is important and everything must be done, eventually …perhaps. Decide on a period for a project and move on after the time has expired. Cut yourself some slack and rejig the deadline – in our competitive society proposals tend to underestimate the time to win approval. Take the time-out from doing and just be, to recharge. Trust others who you’ve nurtured to take over the reins. Delegate, organize and let go. For getting those tasks down in one place and organizing others, I totally recommend you try Trello. A useful and simple online organizer, calendar, and team collaborator, Trello can be used to optimize yourself and coordinate projects from a distance. If you don’t take time out, you may be dealing with feeling overwhelmed, which is debilitating and ultimately interferes with your desired goals. Watch for burnout, with which perfectionists at especially prone to. Check out The 80/20 Principle: The Secret to Achieving More with Less , for further insight. That extra hour spent on a project? —> Time/effort —> Your productivity is probably declining anyway. Mistakes? –> Go with the flow —> Worrying about mistakes undermines success. Being the best at everything? —> Spreading yourself thin —> Overrides strengths. Can’t trust others to do a good job? —> Impart knowledge —> Avoid potential burnout. 100% done? —> Accept the day’s achievements —> Stressing kills innovation. Being a perfectionist has its ups and downs. Remember, everything is perfect in its own way. Furthermore, not all areas are equal. Work, relationships, and social and study components of your life require different approaches. I can’t emphasize this enough…watch for burnout. A certain level of perfectionism is needed for that outstanding work in your project. But…You’ll need to cut some slack at home with the family. They are probably wondering how to live with a perfectionist. Demands an oft unattainable level of performance in themselves (and often others). Feels their efforts or that of others who work for them are substandard. Is unable to let go, and has difficulty in sleeping or relaxing. Obsessively compares their efforts and attributes with others. Bases their self-worth entirely on achieving perfect end results. Deriving pleasure from painstaking labors, but choosing a less precise course when the situation calls for it. Incorporating practices to fortify self-esteem. How to stop being neurotic? Do you need help with perfectionism? There are lots of resources available, including numerous books on the subject. Consider also the lists below. It was once thought nurture rather than nature was the source of perfectionism as a trait. Yes, parents were blamed for producing offspring who were perfectionists by how they raised their child in that they overemphasized achievement or made their love conditional. Well of late that’s been shown to be hooey phooey. Based on a study of twins, research shows that hereditary is likely the reason.² From my own experience, that makes perfect sense. Also, a great site on how to overcome perfectionism is Celestine Chua’s Personal Excellence. Calm. This will help you overcome the anxious, stressed-out feelings that can go with perfectionism. As soon as you feel a pit in your stomach, a lump in your throat or a tightness in your shoulders, neck, or jaw it’s time to loosen up with some Calm. See it here. Focus at Will. Streaming music will help you boost your concentration, get you into the flow and drown out that critical inner voice. Trello. This app helps overcome procrastination due to perfectionism. Rather than focusing on every risk, obstacle, and minor detail you can start taking steps after planning out your tasks using Trello, which has great flexibility for organizing actions – much more than a to-do list it helps to get you unstuck and tasks can be shared with friends, family, work buddies and more. Beautiful Mind with Russel Crowe. These include books on perfectionism treatment. See my list of books on perfectionism. How to avoid perfectionism? These affirmations and coaching audios may help. Michael Hyatt: Win at Work, Succeed at Life – listen in for help with beating perfectionism. Alen Standish: Progress not Perfection. Listen here. Alen connects his binge eating to perfectionism. Though his talks relate to how to combat perfectionism in general. 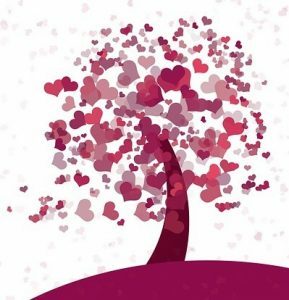 Perfectionism – Unfolded Hearts Talk. Listen here. Brené Brown: Listening to Shame. Brown sees shame being the basis for perfectionism. What’s Your Best (Worst) Perfectionist Resource? Hamachek, D.E. (1978). Psychodynamics of normal and neurotic perfectionism. Journal of Human Behavior, 15(1), 27–33. Iranzo-Tatay, Carmen & Gimeno-Clemente, Natalia & Barberá, María & Ángeles Rodriguez-Campayo, Mª & Rojo-Bofill, Luis & Livianos, Lorenzo & Beato Fernandez, Luis & Vaz-Leal, Francisco & Moreno, Luis. (2015). Genetic and environmental contributions to perfectionism and its common factors. Psychiatry Research. 230. 10.1016/j.psychres.2015.11.020. Stoeber, J., & Otto, K. (2006). Positive conceptions of perfectionism: Approaches, evidence, challenges. Personality and Social Psychology Review, 10, 295–319.